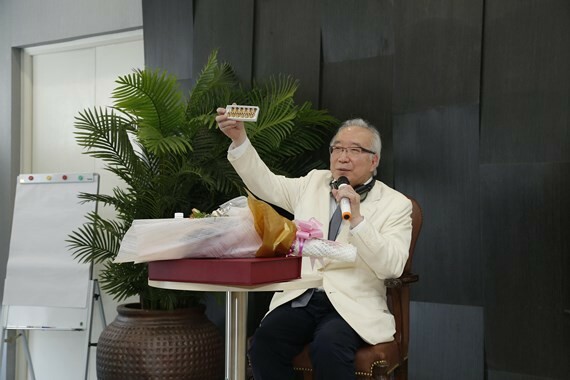 A scientific seminar about updates of human initiated therapeutic vaccine application in treating cancer was held in Gia An Hospital 115 on March 30. HITV (human initiated therapeutic vaccine) therapy makes the best use of immune cells called dendritic cells, the commanders of the immune system. 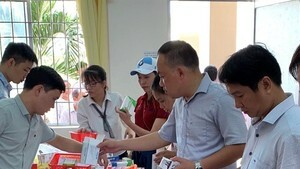 It has brought new hopes for Vietnamese cancer patients in next time . Dr. Kenichiro Hasumi from the Institute of Electro-Chemical and Cancer in Japan said at the seminar that HITV which is highly effective for patients suffering from late-stage, or metastatic, cancer when used in combination with radiotherapy is the first achievement in developing treatment methods from 2005 with the success rate of 70 percent. Presently, the vaccine HITV has been used in 42 countries in the globe for treating over 22,500 patients who suffer liver cancer, lung cancer, breast cancer, colon cancer and stomach cancer. Physicians start treatment by creating immune cells called dendritic cells in patients. Dendritic cells is to recognize (identify) foreign substances called antigens and present them to T lymphocytes. Specific CTLs (cytotoxic T lymphocytes), lymphocyte soldiers which possess antigen information identified by dendritic cells, are subsequently induced in the body and attack and kill cancer cells. The key aspect in dendritic cell therapy is the way in which dendritic cells identify cancer cells as foreign. If dendritic cells can recognize specific cancer antigens, highly reactive CTLs against these antigens would be induced in the body. HITV therapy aims to perform antigen recognition within the patient's body by directly injecting dendritic cells isolated from the patient into the tumor and ensuring that dendritic cells can identify the most specific cancer antigen, thereby inducing the most potent CTLs. According to Dr. Kenichiro Hasumi, HITV therapy procedure does not lead to significant side effects because it helps preventing tumor re-occurrence and relapse through dendritic cells. From 2008, more than 1,200 cancer Japanese patients have undergone the therapy and 70 percent of them have been cured.